Any game that brands itself as "a light role-playing game of hijinks and shenanigans" gets my attention. I love shenanigans! I'm also a fan of japes, and it seems this game would fit that bill rather well. It's called What Ho, World! and it's a lighthearted look at the upper class in the roaring 20s. Think The Great Gatsby but with fewer people getting run over by cars and shot in the pool. In the game, take on the role of one of five different character types, from the Gadabout, who only knows high society clubs and not much else, to the Pillar of Society, a judge or business leader or politician whose actions are a matter of concern for all involved, to the Aged Relative, who has been around long enough to have seen it all before, to the Servant, always in on what sort of secret plans are being hatched, to the Highbrow, an artist or scholar who sits around thinking strange things and making art. 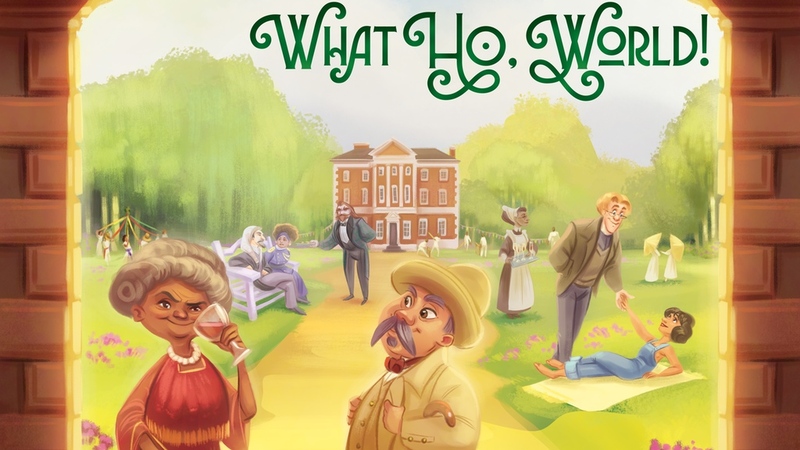 Using the various cards in the game, you'll collectively tell a story about high society and the interesting things that happen to the people therein. The Kickstarter campaign is up and running now. They're a bit more than halfway funded with still 24 days to go.